This article is guest blogged by Michael Joyner, M.D., a physician-researcher and one of the world’s leading experts on human performance and exercise physiology. Dr. Joyner has been a consultant to the National Institutes of Health (NIH) and NASA and has held leadership positions with prestigious scientific journals. Visit his Blog at http://www.drmichaeljoyner.com/. Michael Joyner was recently quoted in the NY Times article on 400m sprinter Amantle Montsho. 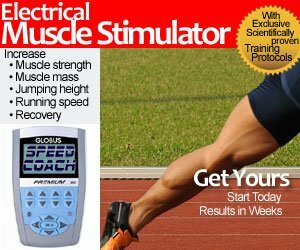 Anyone who reads SpeedEndurance.com is interested in how fast humans can run. However, most of you are interested in events that are south of 800m. To change gears I want to share some ideas my colleagues and I have over who and when someone will break two hours for the marathon. In several scientific articles, we have examined what is known about the physiology of distance running and how fast a person who had optimal values for all of the known limiting factors might run. VO2 max, or maximal oxygen uptake. The so-called anaerobic or lactate threshold. The idea is that VO2 max sets an upper limit and that the fraction of VO2 max that can be sustained for a couple of hours is set by the lactate threshold. If you know these two values then how fast someone can run depends on there running economy. The scientific papers linked to this post go into the technical details. The bottom line is that if one runner had values near the upper limit of those reported in the scientific literature for each of these factors, a sub two hour marathon should be possible. The other interesting thing is that when you plug the current 5000 and 10,000 meter track records into various conversion equations or look at point tables a 2:03:38 marathon looks a bit “soft”. An equivalent marathon would be in the 2:02s. So, from my perspective it is a question of when, not if, and I would not be surprised to see this happen in the next 20 years. the participation of East-African runners in international competition starting in the 1960s. There was limited progress during the 1970s, but the record has fallen more than 5 min over the last 30 yr. On average, there has been 20 s reduction per year since 1960. [white boxes] indicate if this rate of improvement continues, a time under 2 hours could occur in the next 10 years, by 2021–2022. [black boxes] show that if only data from 1980 are used, a time under 2 hours would occur in 20-25 years based on an estimated improvement of 10 seconds per year. The recent increase in the number of high profile races on fast courses that offer substantial prize money may also contribute to faster world records in the near future. Michael J. Joyner, M.D., is a physician-researcher and one of the world’s leading experts on human performance and exercise physiology. Using humans as his model system, he has made major contributions to understanding muscle and skin blood flow, blood pressure regulation, and human athletic performance. His ideas about human performance are widely quoted in both the popular media and scientific publications. His research lab at Mayo Clinic has been continuously funded by the NIH since 1993. Visit his Blog at http://www.drmichaeljoyner.com/.